To put it simply, Better Beans is like the iPod Shuffle of the Coffee world. 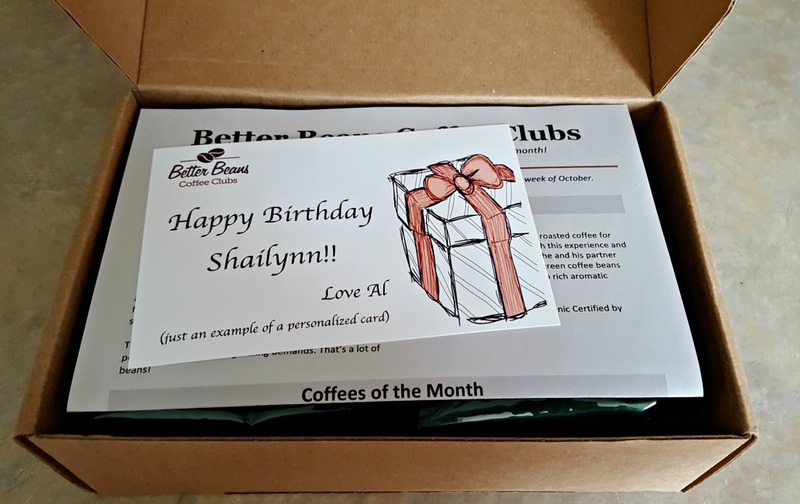 They call themselves “The original small batch coffee club”, and they were founded in 1998. 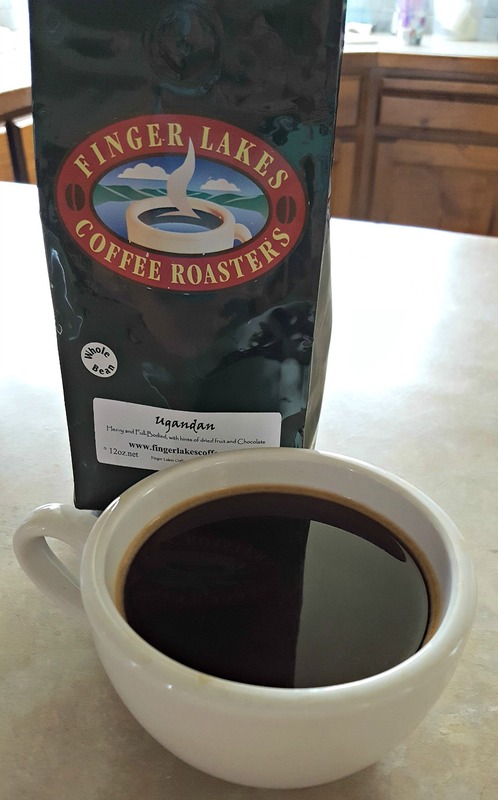 They have an impressive track record spanning almost 20 years, and it’s because of their long-standing relationships with roasters and customers alike. Simplicity is Better Beans ally. They don’t offer any tangible products, just a subscription to an amazing coffee club that cycles out flavors and coffee types every month. They’ve boiled down the modern coffee club to its most basic state, and it has worked for them for almost two decades. The first small batch coffee of the month club. Coffees from Better Beans are sent by random selection. They carefully curate their beans and select small roasters so that you receive the best selection possible. When you sign up, you can select your preferences, but the point of Better Beans is the variety. You will experience the largest variety of coffee roasters, beans and styles of preparation, and for the entire year, you’ll never see the same batch of beans twice. Each month, Better Beans features a new roaster. Like in August 2016, they featured Hampton Coffee Co., and in September 2016 they featured Finger Lakes Coffee. You can set your preferences, including Roasters Blend, Flavored or Origin coffee. You can change preferences at any time. You can also pick between whole and ground coffee. You won’t have predictive selections here, but that is the point of most coffee clubs. It’s random, but still set to meet your preferences. Better Beans works closely with the roasters to make sure your coffee gets to you within days of being roasted. The owners at Better Beans receive their coffees from the roaster and ship them immediately and they only work with roasters that can deliver fresh roasts. Nothing. The coffee from Better Beans is exception and their attention to detail when it comes to freshness is amazing. Nothing sits on the shelf here. 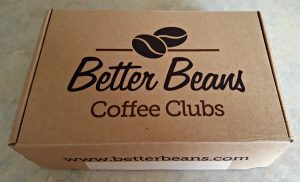 Be sure to check out our blog post that recounts our full experience with Better Beans Coffee Club! I received two bags of whole bean coffee from Better Beans to test out. 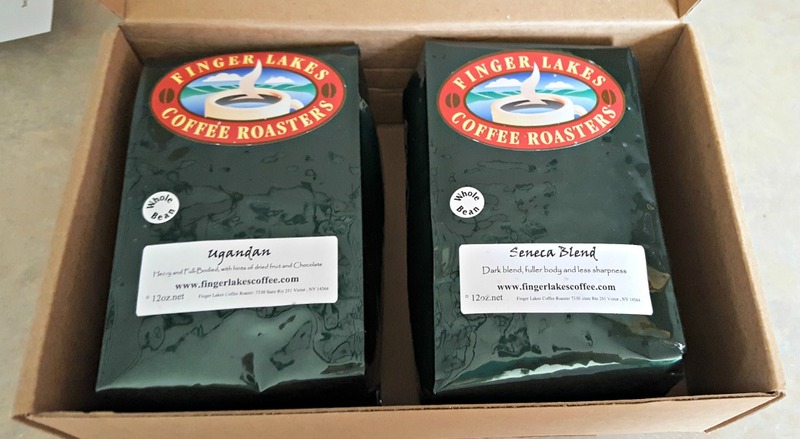 It was in September, so I received the featured roaster of the month: Finger Lakes Coffee Roasters. The beans were extremely fresh and they were packaged properly to prevent light or air penetration. The Seneca blend a dark, robust coffee, but it didn’t have that same bitterness that other dark roasts are notorious for. This was my favorite. It was smooth with notes of chocolate. At Better Beans, they’re very careful about the coffees they send out. They handpick their roasters and look for smaller roasters — no big box, big batch companies. They even taste them in-house before featuring that roaster for the month. If they don’t like what they have to offer, they don’t use them. This scrutiny ensures you will always receive an excellent coffee. Nothing. I loved both of these coffees. They were excellent. 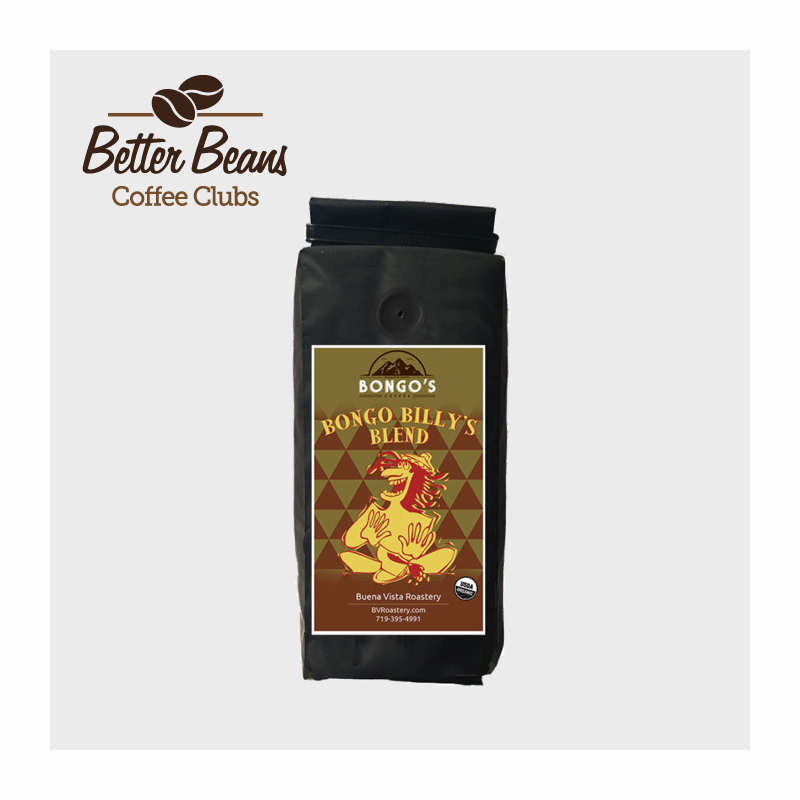 The purpose of Better Beans is to surprise their coffee club customers with new roasters, new types of coffee, and flavors from around the world. You do, however, have the ability to set some preferences within their three club options. 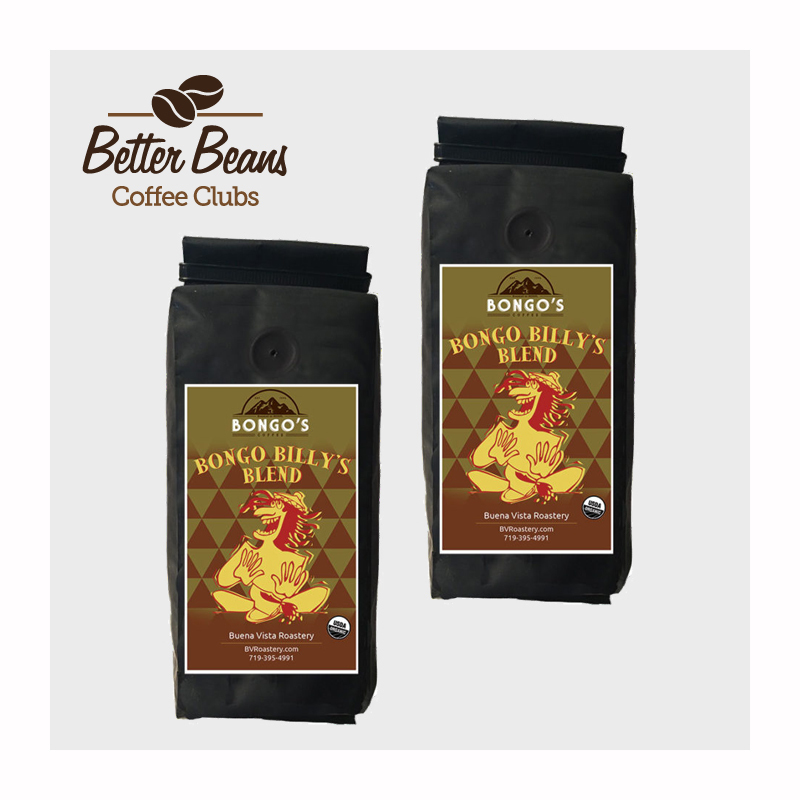 There are three club options: Flavored, Single Origin, Roasters Blend. From there, you pick month-to-month, three-month pre-pay or six-month pre-pay. They also have a one-year prepay option. You can mix and match as well. For instance you can select one bag of flavored and one bag of blend, or one bag of single origin and one bag of blend. If you go with two or more bags you are not restricted to selecting all, and only Flavored, Single Origin or Roasters Blend. Pricing is the same regardless of which plan you choose, and goes at $20 for one bag, $32 for two bags, and $39 for three 12-ounce bags of coffee. Plans auto renew until you cancel, but you can cancel at any time. Usually when companies offer the option of pre-pay, they give you a discount. There isn’t one for Better Beans. The Better Beans Site has plenty of learning opportunities, including their featured information on the roasters they use, coffee knowledge, and recipes. 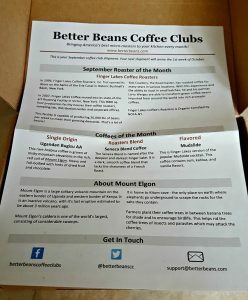 You do receive a newsletter with each package too, which tells you about the coffee and roaster featured that month. It also gives you background on the roaster and the area where the beans were acquired. They go quite in-depth here — more than other clubs. The beans get to you within a few days after roasting, which is a refreshing feature that not all coffee clubs offer. The beans ship at an unspecified time that changes month to month, and all packages ship with USPS 2-day priority mail, but you cannot pick your day. It is based on when the roaster completes the order and gets them over to Better Beans. 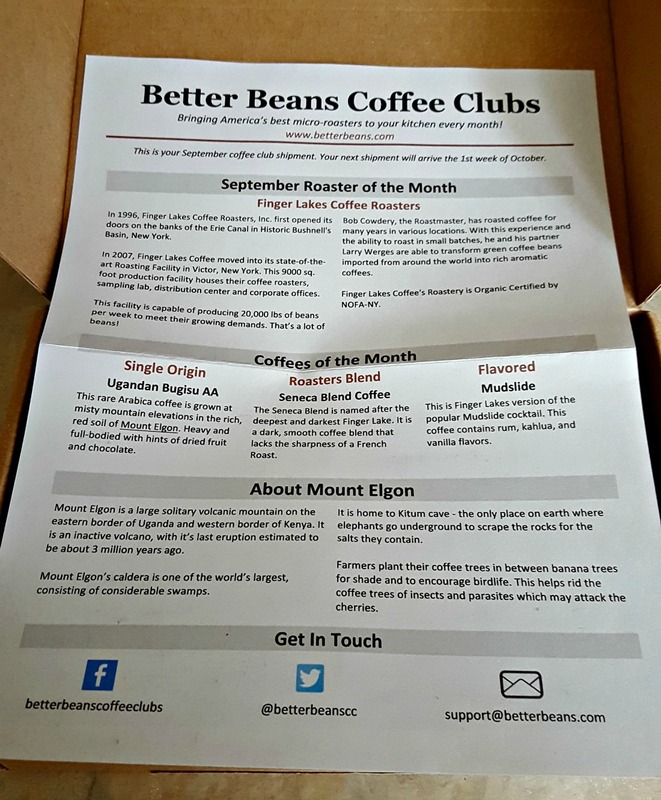 All boxes come labeled and when you open it, you will find your newsletter and coffee. If you purchase a gift, the gift card will be placed on top of the newsletter and beans. In my shipment there were two bags from the featured roaster of the month. Shipping is free with your membership and they ship everywhere in the United States. Nothing. While Better Beans doesn’t predict shipping dates, that is because they want to ensure the freshest possible coffee. If you appreciate fresh coffee, having a few days random for your monthly subscription won’t be detrimental. There is a gift membership that acts the same as the typical membership, except it comes with a personalized message from whoever purchased it. This is nice, but there’s nothing that really sets this membership over the edge. There is no special packaging for gift memberships. Also, they auto renew until they are cancelled. So recipients or the gift giver would need to ensure they cancel otherwise the gift giver will continue to be charged. The website is useful, and it has all the information it needs. 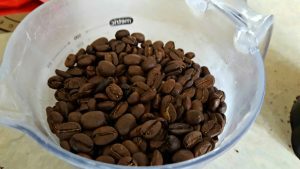 There is a blog with recipes, roaster features, and more. They also have a FAQs section about their club and coffees. The site isn’t as in-depth as other companies out there. Also the site looks a little dated, and it could use a few more pictures with a redesign to spruce it up a bit. Then again, Better Beans is all about simplicity, and the website definitely serves that purpose. You can reach Better Beans via email as well as social media. They are extremely quick to respond — in just a few hours. They have a clear “Contact Us” page, so you can drop them a message. Because most of their business is based on word of mouth, they pride themselves in delivering excellent customer service. They were there to answer any questions I had, and always responded quickly. They don’t have a phone number, but this isn’t uncommon with these coffee of the month clubs. Month-to-Month(1 Bag) $20 – A single 12 oz bag of fresh coffee from their featured artisan roaster each month. 3 Month Subscription(1 Bag) $60 – A single 12 oz bag of fresh coffee from their featured artisan roaster each month. 6 Month Subscription(1 Bag) $120 – A single 12 oz bag of fresh coffee from their featured artisan roaster each month. 12 Month Subscription(1 Bag) $240 – A single 12 oz bag of fresh coffee from their featured artisan roaster each month. Month-to-Month(2 Bags) $32– Two 12 oz bags of fresh coffee from their featured artisan roaster each month. 3 Month Subscription(2 Bags) $96 – Two 12 oz bags of fresh coffee from their featured artisan roaster each month. 6 Month Subscription(2 Bags) $192 – Two 12 oz bags of fresh coffee from their featured artisan roaster each month. 12 Month Subscription(2 Bags) $384 – Two 12 oz bags of fresh coffee from their featured artisan roaster each month. Month-to-Month(3 Bags) $39 – Three 12 oz bags of each of the featured coffee (single origin, roasters blend, and flavored). 3 Month Subscription(3 Bags) $117 – Three 12 oz bags of each of the featured coffee (single origin, roasters blend, and flavored). 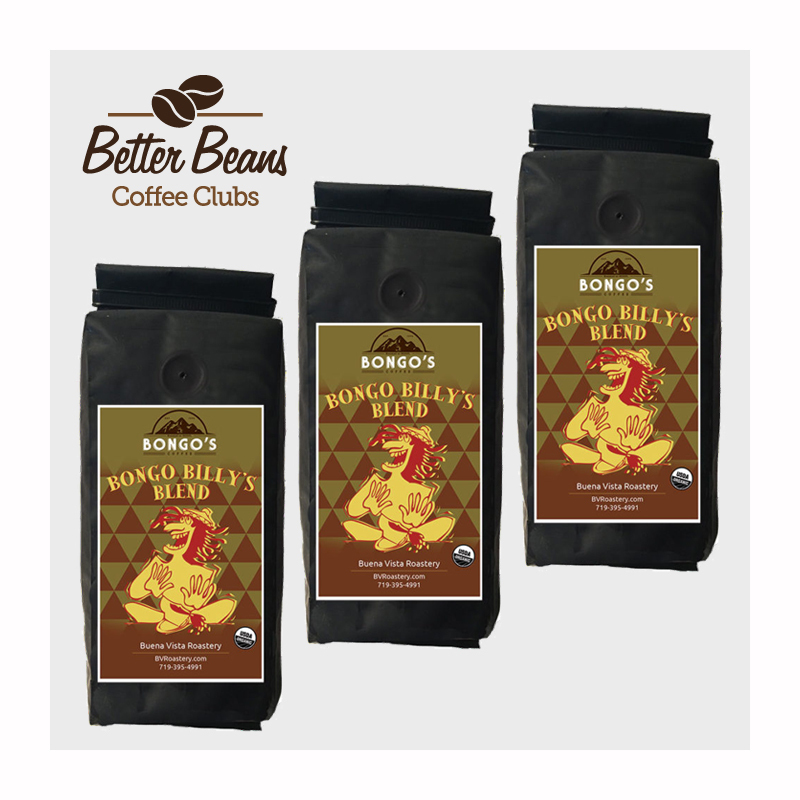 6 Month Subscription(3 Bags) $234 – Three 12 oz bags of each of the featured coffee (single origin, roasters blend, and flavored). 12 Month Subscription(3 Bags) $468 – Three 12 oz bags of each of the featured coffee (single origin, roasters blend, and flavored). This club is best for those who want a simple coffee club with a good track record to send them randomized coffees every month. Simple, Fun Club: Better Beans keeps things ridiculously simple for their customers, and they also have almost 20 years of experience to back themselves up. They’re hailed as the first small-batch coffee of the month club, so this does something to strengthen their image among coffee drinkers everywhere. 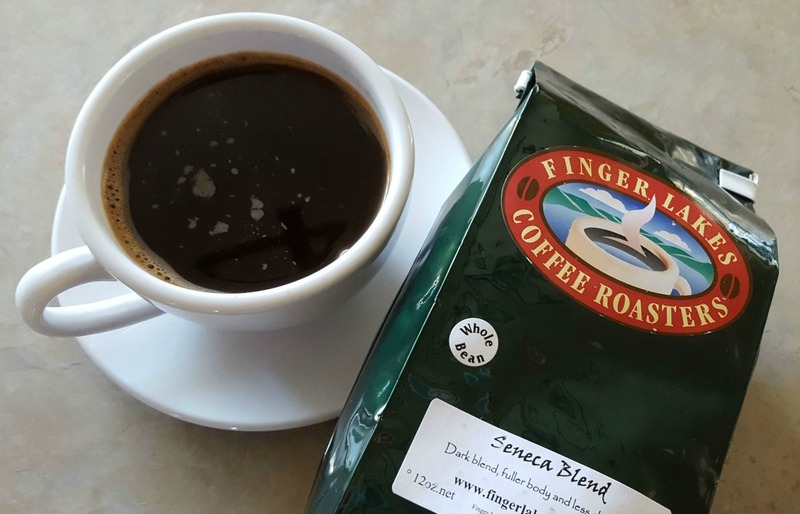 Handpicked Roasters: Better Beans prides themselves on the coffees they deliver. They only work with roasters that they have personally tested themselves. No Repeats: While you may see a repeated roaster, you will not receive the same coffee twice. This is a big deal, since some clubs rotate out their selections throughout the year. Excellent Customer Service: You can tell Better Beans cares about their product and their customers. They respond quickly to inquiries and have an excellent customer satisfaction rating. In fact, they thrive on word-of-mouth advertising and they’ve survived for over a decade doing just that. It’s impressive. No Discounts for Prepay: Most clubs will offer a discount if you prepay, so we would like to see that from Better Beans. That way when someone commits to a 12-month prepayment, they get a discount in return. Overall, Better Beans is a club that is there to deliver the finest, freshest coffees to their customers. Featuring the lesser known roasters and exposing you to coffees from around the world, they have an excellent selection, curation process, and their customer service is superior. They are the ideal club for those that like coffee adventures and attention to detail. Better Beans is all about the small-batch varieties that are truly extraordinary. 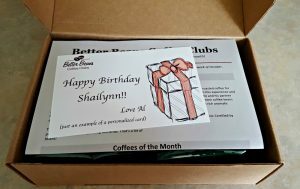 With their random selections and fun varieties, you will certainly be surprised each month your Better Beans box arrives. Month-to-Month(1 Bag) $20 - A single 12 oz bag of fresh coffee from their featured artisan roaster each month. Month-to-Month(3 Bags) $39 - Three 12 oz bags of each of the featured coffee (single origin, roasters blend, and flavored).